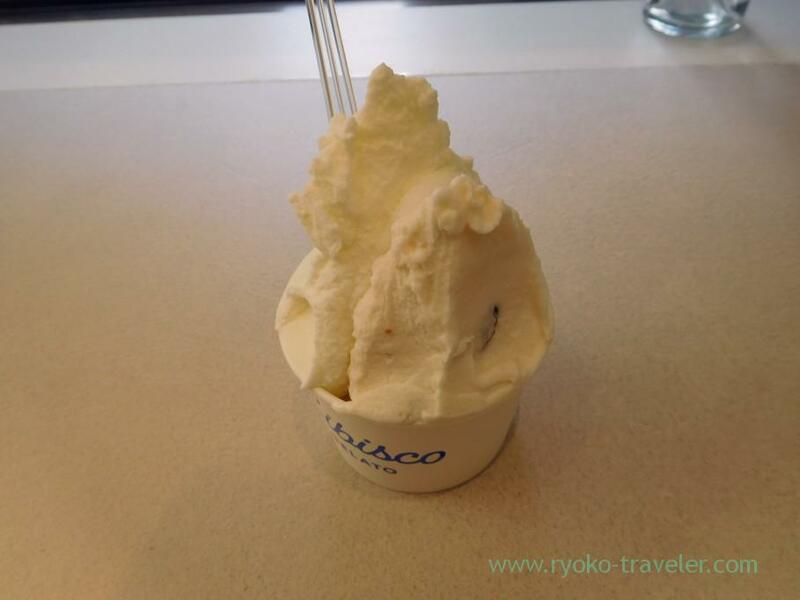 I visited L’ibisco that is gelato shop in Ginza. I had wanted to visit there for a long time. Why I took such a long time to visit there ? Because… when I’m around there, I’m always fullず :p Ginza have much delicious things. The gelato shop is on the 2F. There’s stairs from the ground floor on the right. 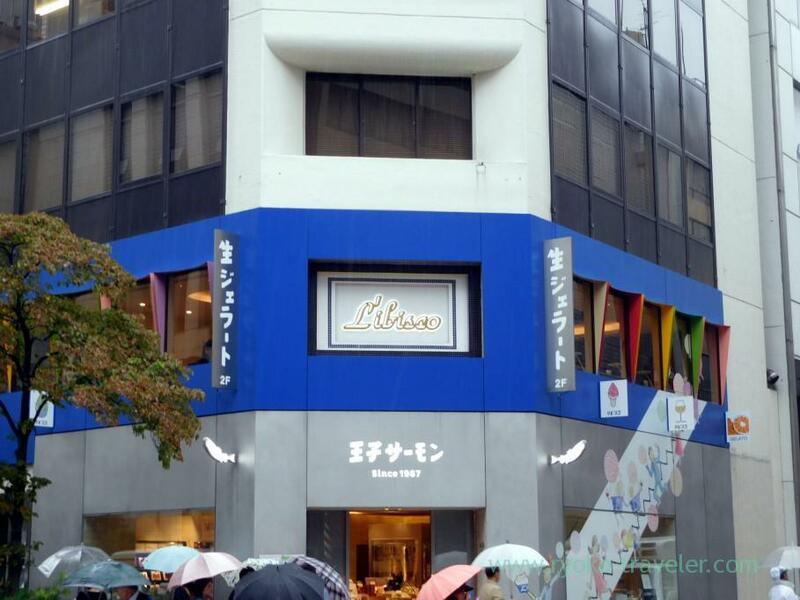 It is located at the back street of Matsuya Ginza. 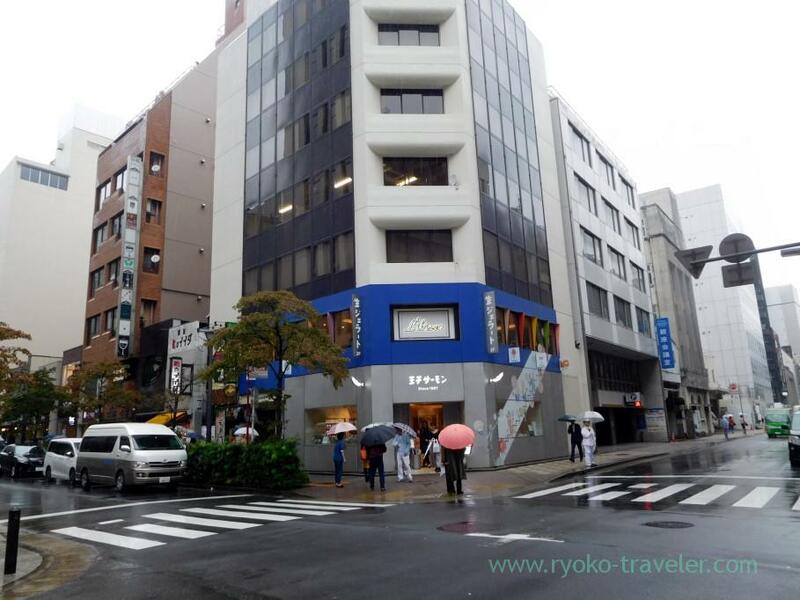 If you go straight to there from Sotobori street, you might go through in front of the building. Unexpectedly the shop is wide. but there’re not much tables. It’s like bar. 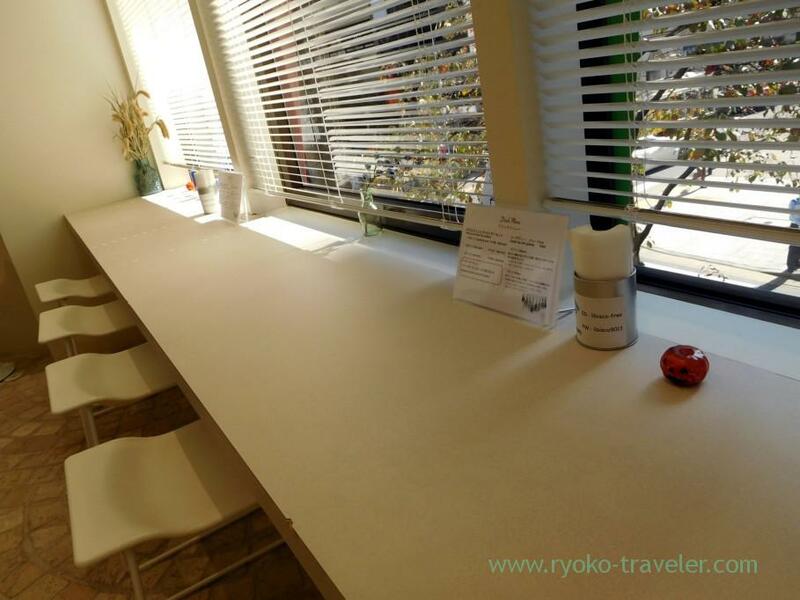 There’re counter seats in front of the window. 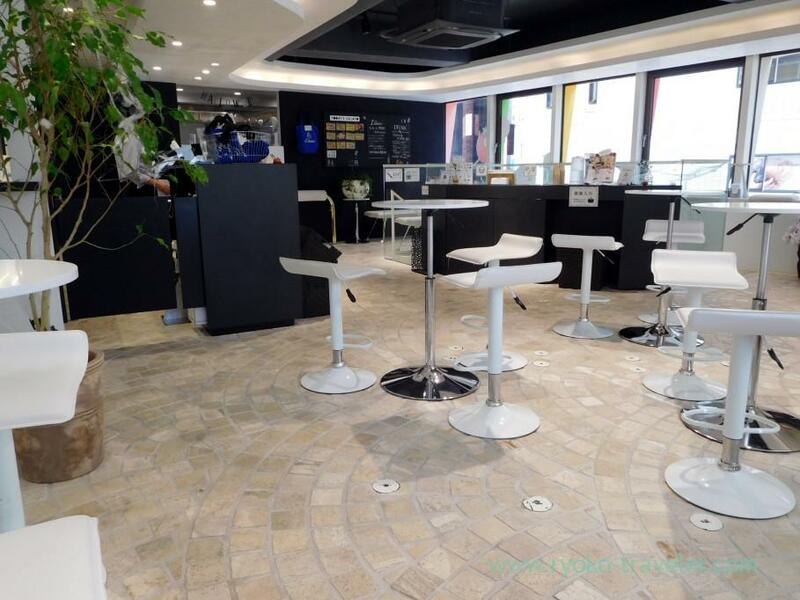 If you go upstairs, brilliant gelato welcome in the refrigerator welcome you. 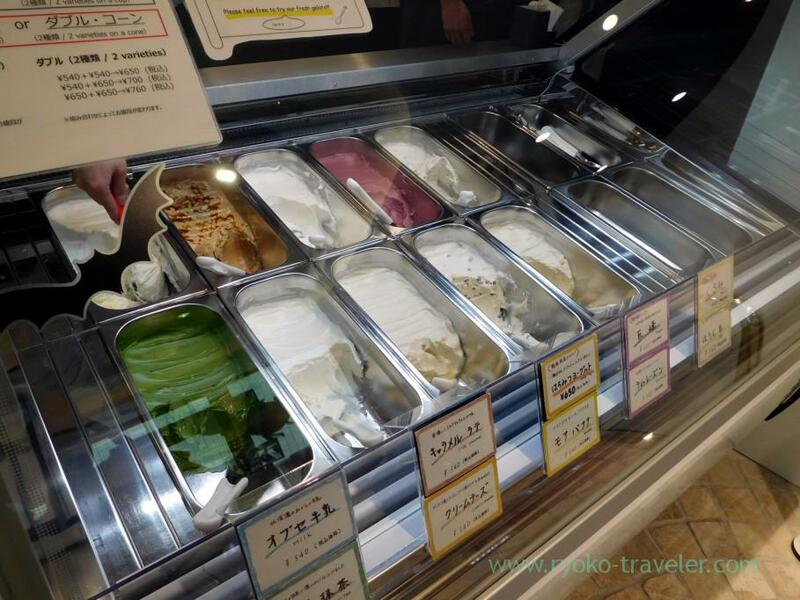 When I visited there that time, 10 flavors were in the refrigerator. They don’t keep their gelato next day and they use fresh milk and fruits and make gelato in every morning (without egg). So, they named their gelato “Fresh gelato”. So, I heard sometime there’re only 4 flavors in the refrigerator. Precious gelato. We can choose CUP or CORN. Also we can choose one or two gelato. 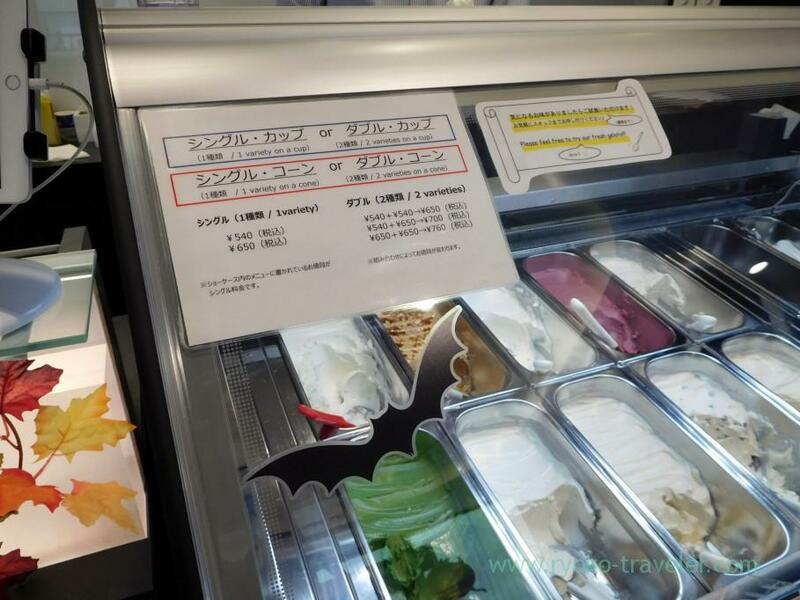 There’re two prices of gelato. 540 yen or 650 yen. In case you choose two flavor of gelato, the price is changed what you choose. 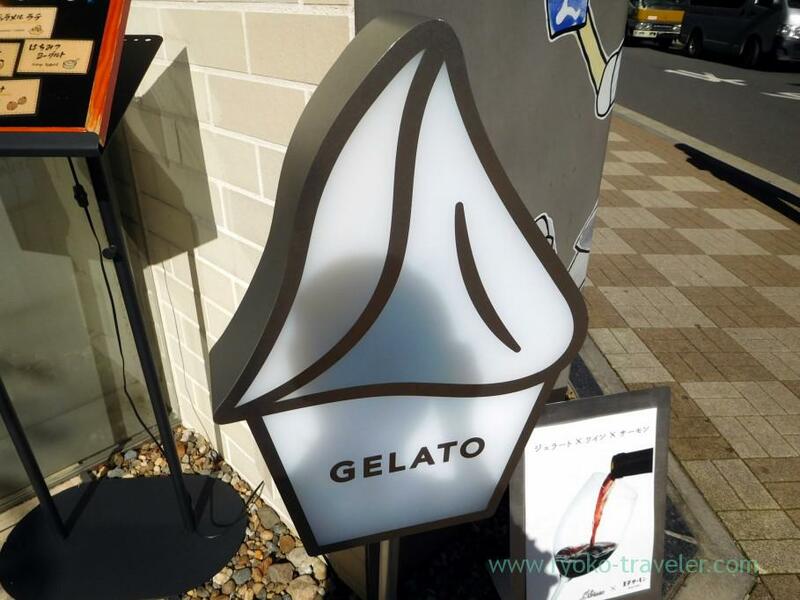 I think their gelato is expensive, but it’s worth the price because it’s “fresh gelato” ! 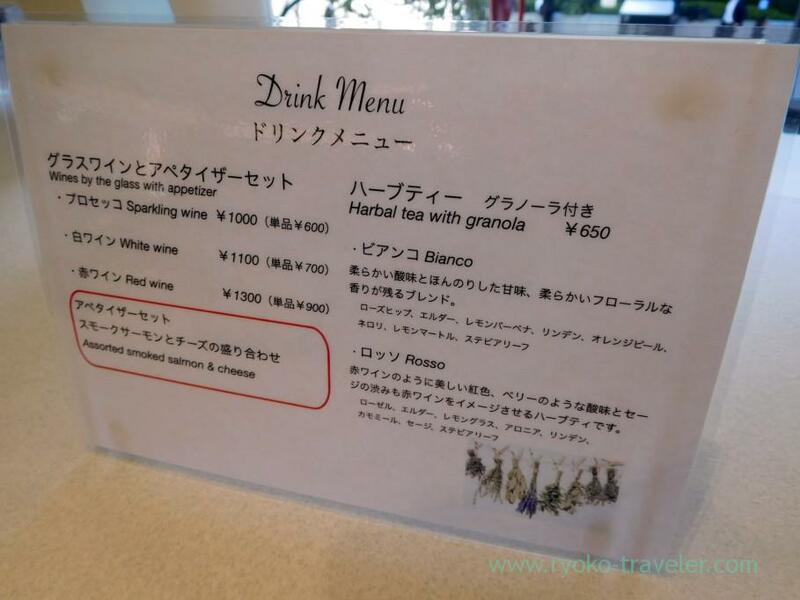 And another, they serve wine and herbal tea. With smoked salmon. Umm. I’m bad blogger. I chose Obuse milk and rum raisin. White and white. I thought I should choose photogenic assortment. But. The staff recommended me Obuse milk strongly and I wanted to eat it, too. And rum raisin looked good. It can’t be helped. Both is 540 yen. So 650 yen in total (tax included). Both wasn’t too sweet. And Obuse milk had natural sweetness of milk. I felt I had fresh milk at farm. Rum raisin had alcoholic a bit. The strong flavor of rum raisin was in my mouth. Free water. There’s a pitcher on the counter table close to the stair. Actually there’re many flavors, they can’t serve so much. So, they decide what they serve every morning. You can check the flavors of the day at the entrance.